I’ve always been a fan of Volvos, but at some pint in the past they had lost their way along the way (probably around or after the Ford era). It was a bit like the Sabb GM deal, but forunatly ended better for Volvo. In swooped Chinese car maker Greeley to inject some much needed funds and help rejuvinate the brand to it’s current renaissance. It started here in the U.S. with the V90 sedan, then the XC90, 60, and now the 40. Smaller shouldn’t be better, right? 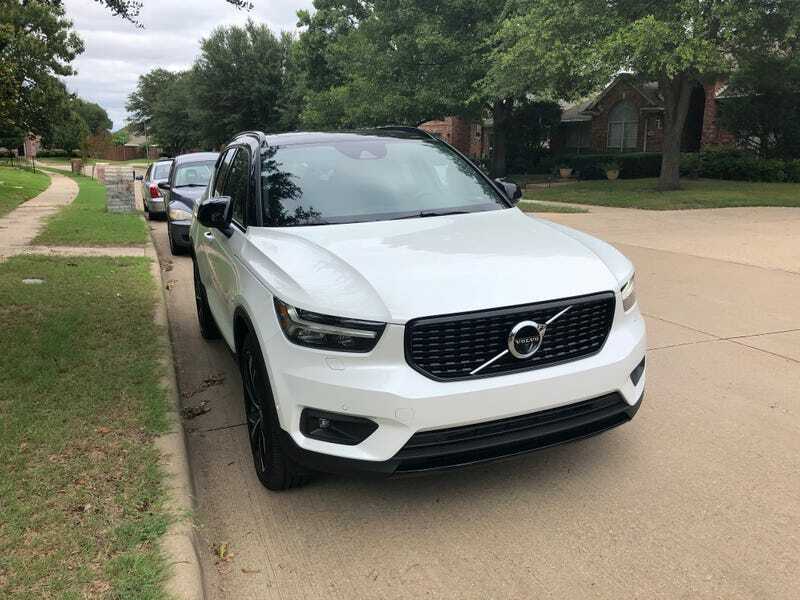 The XC40 makes me wonder that just like my Tesla Model 3 does. My loan was the R-Design spec which meant sportier trim, better performance, and a overall funner driving experience. And not to mention those rims. The driving experience is nothing short of fantastic, and this feels more like a BMW than a Volvo, which isn’t something I thought I ever would say. The design is traditional Volvo and the interior is incredible. That orange (or lava) just really makes it pop. The leather and alcantara adorning the seats gives the vehicle a super premium feel. The interior is certainly up there with other SUVs in this class, and even could confuse some with larger more expensive vehicles. That said, on the R-Design trim the metallic/plastic poka dot bits on the doors and dash aren’t my favoirte thing, but that’s really the only interior complaint. As for the drive, it won’t fool you into thinking it’s a sportscar, but no small SUV would. But, you will have fun and it’s one of the sportier SUVs in this class. I espeically liked the upgraded T5 engine my test vehicle had. So about that subscription... you can buy this SUV starting at 33k US and going right up to the mid 40s if you check every box (and the R Design and all the self driving and safety tech you can order, help justify the premium price of a fully loaded model). Or... you can esentially subscirbe to this SUV for $750 a month. That may seem pricey, but compared to a 2 year lease, the fact it has no commitment, insurance, and maintenance being included might make it a good deal for some.